Isn’t it wonderful when a fabulous person you know branches out and blossoms? Ms. Irishgirlie’s designs are beautiful and the latest…oh my! Stunning in every way. 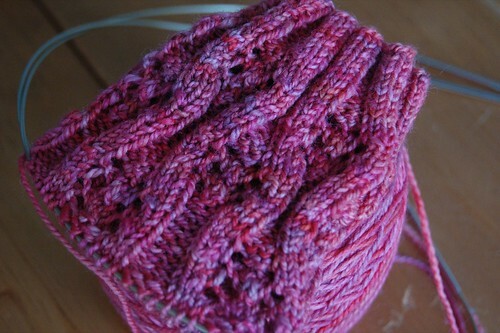 The picture above is “blackberry brambles” being knitted by Madfitz (ravelry link) and I’ll have to get the details on the colorway. update – yarn info: Plucky Classics in Paramour. So very delish. 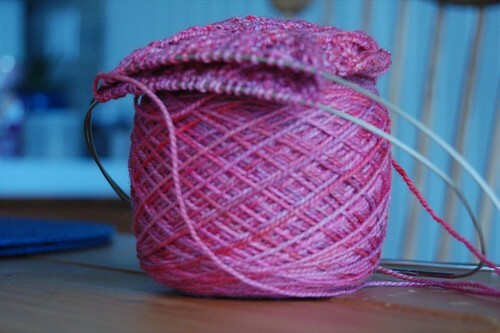 What a beautiful yarn color!